There are approximately 8,992 ways that you travelers might embarrass yourselves (and those around you) in any given moment, but I’ll cover just a few examples. “Bloody Hell!” What a quaint British phrase that is. It’s cursing without actually cursing. It’s Ron Weasley’s favorite catch phrase, for Pete’s sake–what’s not charming about that? Well, yeah. Says you. Turns out Ron Weasley had a serious potty mouth. “Bloody Hell” is some bad stuff. Do not say it unless you really mean it. And please do not say it to your elderly neighbor under any circumstance. I speak from experience. Also, if you are an American traveling in the UK, do not use the word “fanny” to refer to your bottom…it does not. Let’s just leave it at that. Another word that becomes awkward in England: “pants.” If you spill beer on yourself in the pub, whatever you do, do not loudly proclaim that your pants are dirty. Maybe you get the point already, but let me illustrate the problem. My son was young when we lived in Yorkshire; young and growing like a weed. I bought him some new school uniforms that he outgrew after just a wearing or two. The pants were nearly perfect (which is the first strange thing about this story, as my son can wear the knees out of pants in 30 seconds flat–I should have known at this point that fate was conspiring to trick me in some way). What do you do with nearly perfect pants? You give them to a friend who can use them. It’s a kind gesture, right? It is, but, bloody hell, mate, you are likely to get it all wrong if you don’t speak the language. “They’re not at all worn out. I’m pretty sure they’d fit Lewis. You really ought to take them,” I say, as I begin to hand the bag her direction. A look of horror absolutely engulfs her face. “I’ve washed them,” I say. I say it too loudly. . .people are beginning to stare. My friend still looks rattled, but she accepts the bag with a wry smile on her face. I’ve a feeling that she dropped the bag, unopened, into the bin as soon at she got home. Oh…no, wait…I mean the trashcan. Sigh. It’s exhausting speaking two languages. Every expat blog should offer an occasional thought on the faux pas, because it’s what we strangers in a strange land do best . . . or at least most regularly. So I’ll open the conversation with my misstep of the week (so far). Yesterday, I was in my German language class, plodding along and trying to learn a few things. By the way, I’ve changed classes: no more sitting by Paul Newman’s twin (so sad), but I do really like my new teacher (a very elegant older German man). We were reviewing some useful phrases for eating out–something I fancied I knew a little about. The teacher asked what the word for appetizer was. I boldly hollered out “Vorspiele!” What I meant to say was “vorspeise”– the word for appetizer literally means before (vor) the meal (speise). All in a day’s work for an expat. 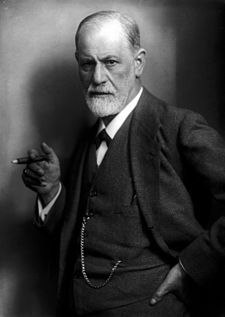 More thoughts on the art of faux pas next week, but for now just remember that, despite what Freud says, sometimes an appetizer is just an appetizer . The best adjective to describe any given Monday morning is fuzzy. 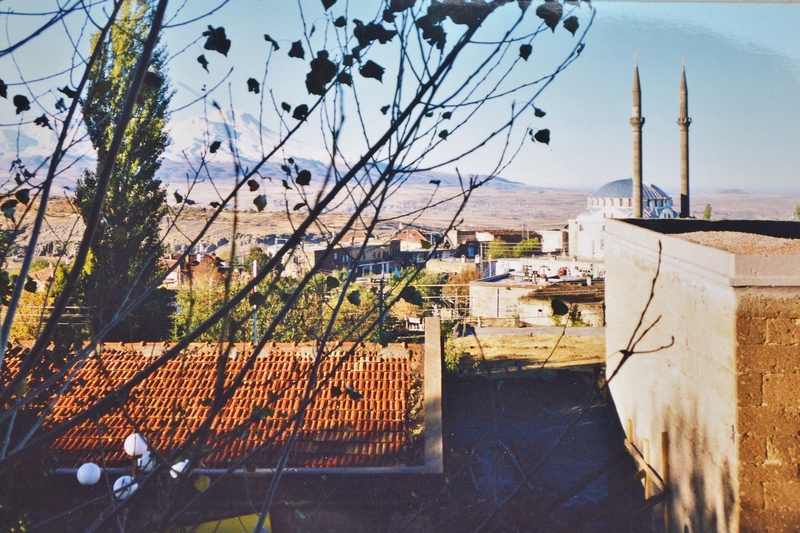 So, in honor of all those fuzzy Monday mornings, I’m posting fuzzy, dusty photos from a few travels in Turkey roughly 15 years ago. They may be grainy and faded, but the beauty of the place and the people still shines through. Istanbul is a good place to start. While in Istanbul, we stayed in a small hotel on the Hippodrome–the center of ancient Constantinople, where civic and sporting events were held. 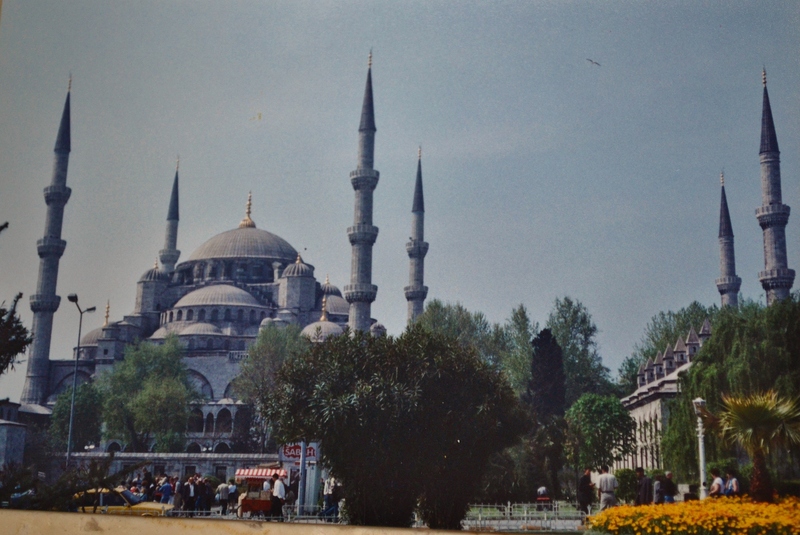 The Hippodrome is a long, oval area today, flanked by obelisks at each end, and just beyond each end of the Hippodrome stands one of Istanbul’s most recognizable landmarks: the Hagia Sophia and the Blue Mosque. 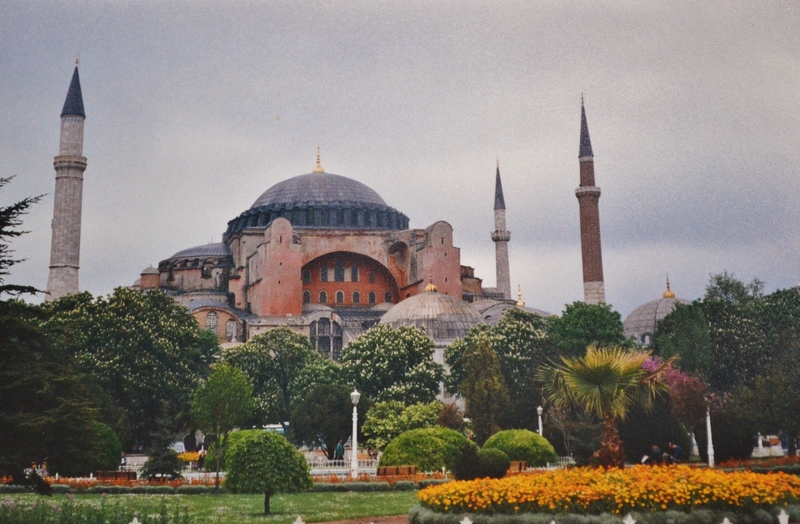 The Hagia Sophia is, arguably, the jewel of Istanbul. 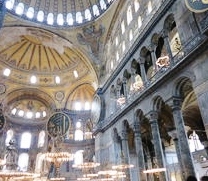 The Hagia Sophia began her life in the 500’s as an Eastern Orthodox cathedral, and over the years has served as a church, a mosque, and a museum. Despite the ravages of time and bickering ideologies, this beautiful monument to Holy Wisdom (Hagia Sophia, or, as the Turks say, Ayasofia) still impresses and humbles its visitors today. The Blue Mosque was built in the 1600’s, so it’s no new comer either. The interior is impressive and serene–covered in Turkish Iznik tiles and caligraphed verses from the Quran. The exterior courtyard of the Blue Mosque is serene and was once used as a school, but I don’t think that’s the case any longer. Nearby, you can take a tour of the underground cistern-which is impressive too. 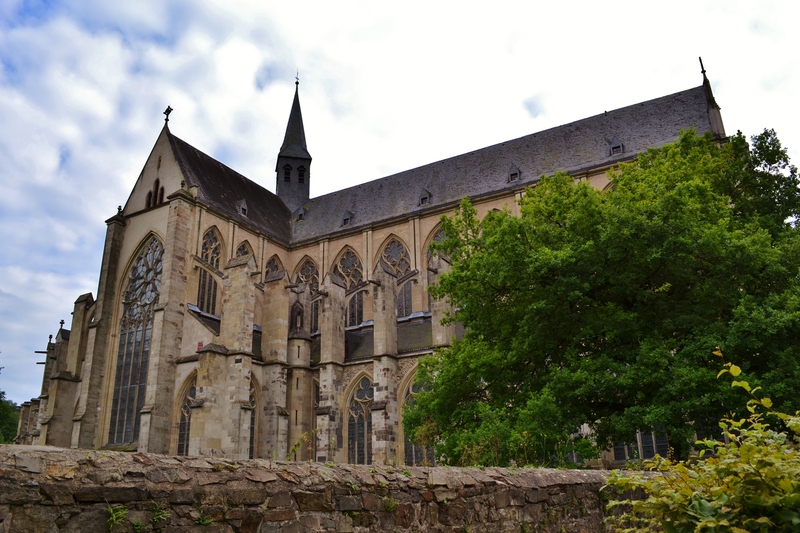 It was built in the 500’s, but lay abandoned and forgotten for hundreds of years. The columns and carving, as well as the dramatic lighting, make it a beautiful and eerie place to see. 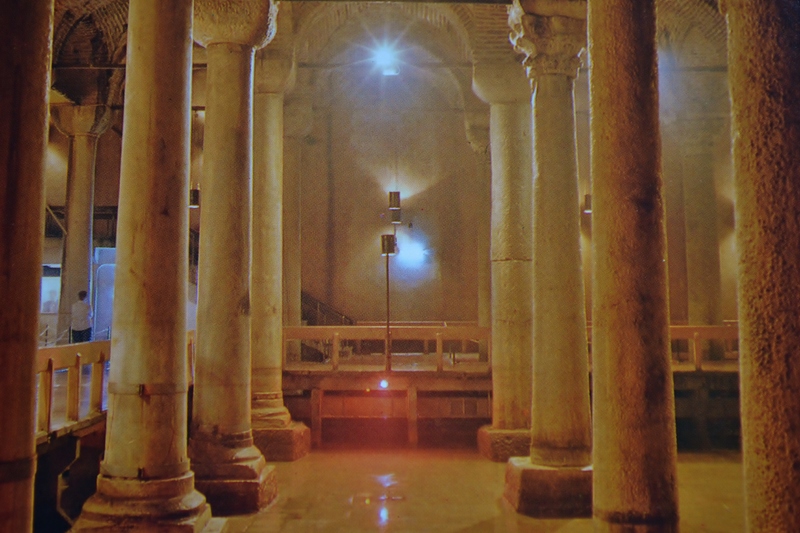 Underground cistern in Istanbul–built in the 6th century, still a marvel. You’d spend a full day or more travelling from Istanbul to Cappadocia in central Turkey, but it would be worth the effort. 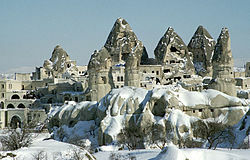 Cappadocia is a somewhat mountainous area, best know for its “fairy chimneys” and early cave churches. Urgup and Goreme are probably the easiest places for tourists to get around, and they are a good homebase for viewing the fairy chimneys (rock formations that are distinct) of the area. “Fairy chimneys” of Cappodocia and the Ilhara Valley. You can see the dwellings carved into them. 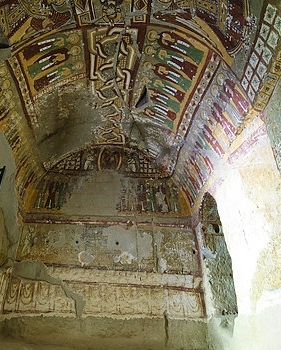 The Ilhara Valley in Cappadocia is also famous for its very early cave churches. They are in varying stages of preservation, but are fascinating to see. 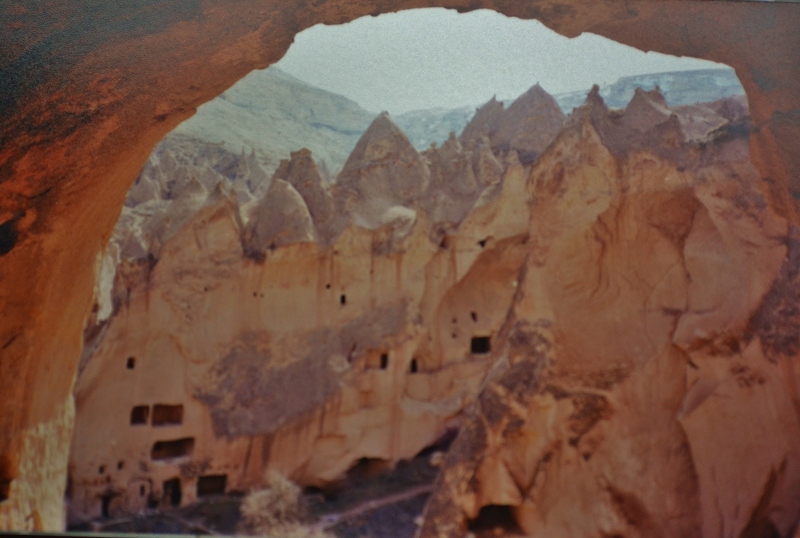 Guzelyurt was our favorite town in Cappadocia, and was off the beaten path. View off the back porch at Otel Karbala, Guzelyurt. 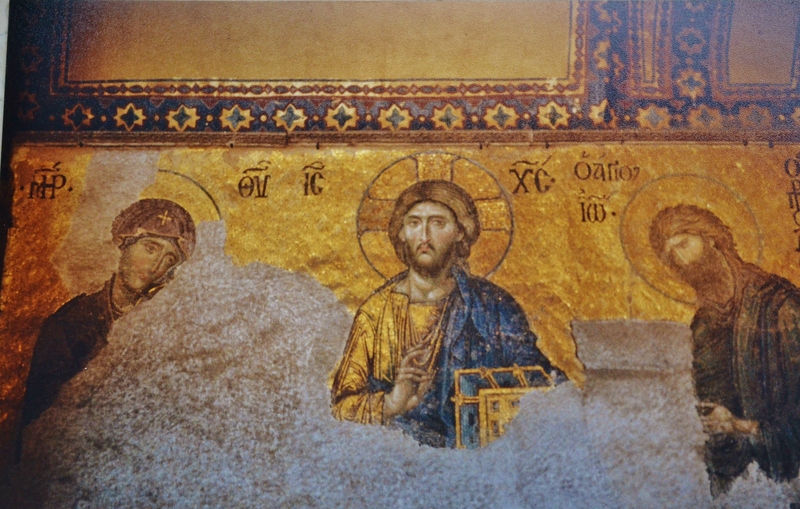 We would stay at a hotel there, Otel Karbala, which was beautiful and converted from an old Greek monestary. 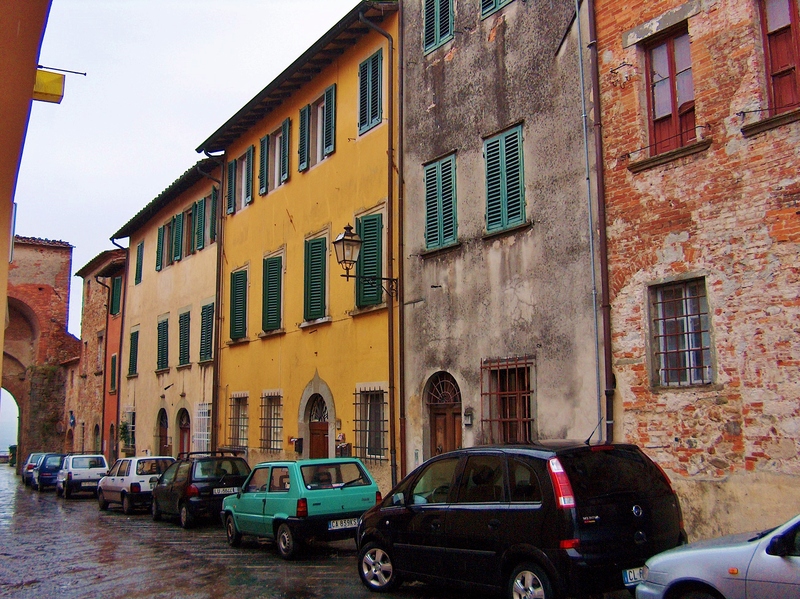 The town was light on tourists, and heavy on beauty and history. On the “Antik Road” in Cappadocia. This photo especially tugs at my heart. 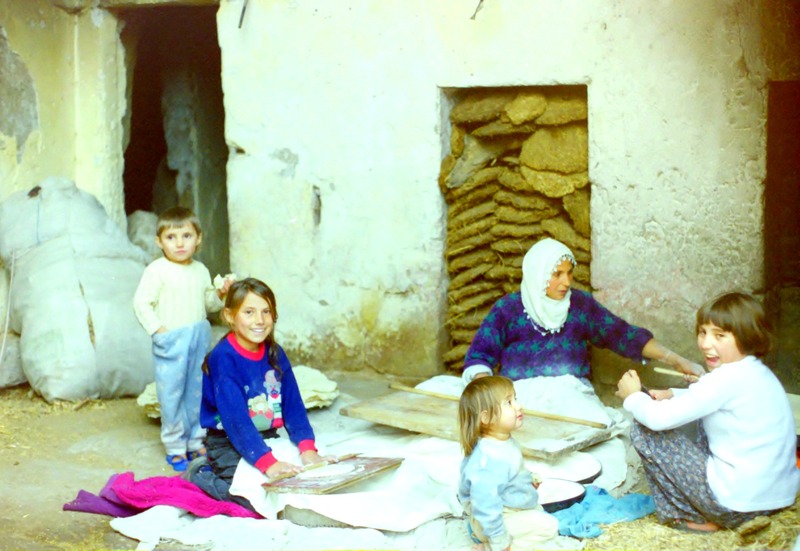 This family was baking bread over a fire outside of a cave on the Antik Road (old road) down a hill in the town of Guzelyurt. They were so friendly and we stopped and ate a bite of their bread–a delicious flatbread (pide) that they were eating plain and warm from the fire. Pide is popular in Turkey, and often cooked over an open fire on a hot, convex piece of metal, but it can also be made in a large oven (think of America’s large brick oven pizza establishments). Our “hometown” in Turkey had a large bakery that served, really,as a community oven and produced hundreds or thousands of pide each day. Pide is often embelished with meats or cheese and spices. Plain pide is also good for scooping up mezes (appetizers). But, back to Cappadocia. It’s probably my favorite place in Turkey, and, besides the sightseeing and natural beauty of the area, it also offered many opportunities to shop for carpets in an environment that was less rushed than Istanbul. 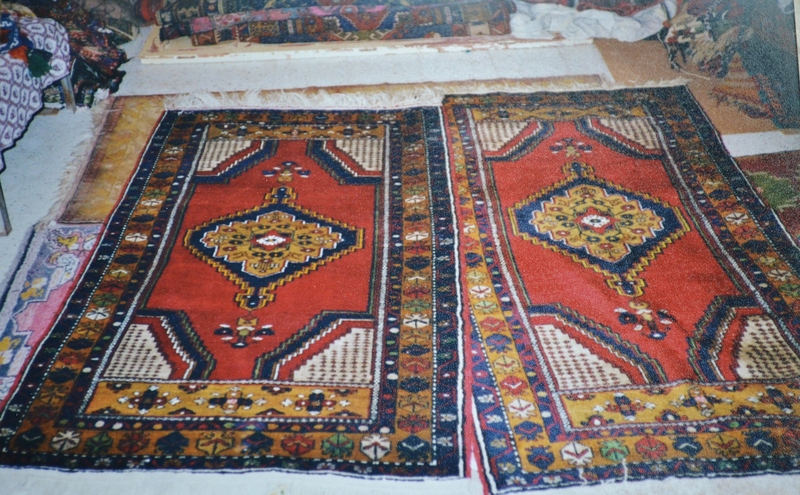 Here, carpet dealers feed you, play with your children and dogs, and eagerly teach you about the various types of carpets and regional styles they have on offer. 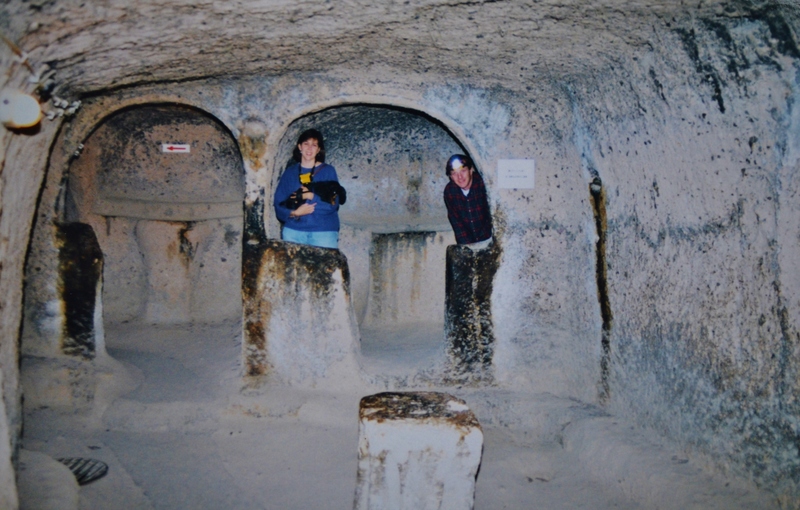 And, if you have enough time in Cappadocia, one last recommendation: visit an underground city. There are dozens of these sites, and we’ve been to Derinkuyu and Kaymakli. These cities are ancient rabbit warrens underground, complete with ventilation shafts and stones that can be rolled to block entrance into any given tunnel–they are advanced and well planned, but may date back to the Bronze Age, and were certainly used during the Byzantine period as hiding places during times of religious persecution. A puppy in my arms, and a flashlight on my husband’s forehead, while we wander the underground labyrinth. As feats of ancient engineering, these underground cities are astonishing. As history lessons, they are sobering. As an afternoon out. . . they are a pretty good frolick . . . but not recommended for people who are claustrophobic. I’ve covered a lot of ground at a crazy quick clip here–but it’s a fuzzy Monday, so that’ll have to do until I’ve downed considerably more coffee.